This is the most famous island in Indonesia. An amazing place, which save the beauty combination of spectacular natural landscape and incredible culture. Its beauty is conformable with friendly and polite citizens. In this island, its culture continue to be preserved from generation to generation. Although there are tourists or not, its art and culture continue to be preserved as a tribute to their ancestors who have built this island for a very long time. As the most popular tourist destination in Indonesia, Bali has the best resort in the world, harmonize with charming beach and festive nightlife. The Travel and Leisure magazine chooses Bali as The World's Best Island in 2009, while Lonely Planet's chooses Bali in second rank as The Best of Travel 2010. Bali is known as Gods Island, island of a thousand temples, or paradise island. The natural beauty is very incredible, like Mount Agung, the green and vast rice field that will give you the feel of serenity and peace, also the beauty of its sea surrounded by smooth sandy beach. In Bali, you will find the grandeur of artwork and culture. The amazing line indentation and symbols as though born of unlimited creativity and always try to perfecting itself. Bali also has dramatical dance and various traditional ceremonies and the beautiful and qualified artwork. Many interesting things that is offered in this island, start from the spiritual life until culinary and incredible experience from surfing, diving, until trekking in the forest that will challenge your braveness. You will find the beautiful temple, which is built beautifully wherever you go. The balinese society that adheres devout Balinese Hinduism, mostly their live is dedicated in traditional ceremony by the purpose to keep the world harmony. Because of that, this island save many spectacular culture inside it. Bali is the gathered place of various tourists from all the world, start from the tourist that comes to surfing in the waves of Kuta beach, Uluwatu, and Dreamland until the tourist that comes to enjoy the beauty of mountain and lake in Lake Batur, Kintamani, or Lake Beratan in Bedugul. There are many kind of transportations that will help you to get around of Bali. The various travel packages start from a half day, full day, until night that is available in Hotel you stayed or from travel agent, which spread anywhere and the abundant travel plans in Bali. You can rent a bike or motorcycle, which is available in Bali. The most important during your travel in Bali is be patient. usually, the ceremonial procession often use all parts of the road so if you stuck in traffic, just enjoy it because of it will be the unique experience from ritual that is difficult found in any other places. The white-sandy beach in Bali is the favourite place for a family who waste their holiday in Bali. There are many sport games in Bali such as banana boat, parasailing, jet skiing, swim or just sunbathing, visiting other small island around Bali, seeing the underwater lifeby using submarine. The most famous beach in Bali is Kuta beach, a unique and the best place to see the sun sets. Along the beach, you can find many lined hotels, start from five-starred hotel until homestay, restaurants, shop, and cafe. While in the night, this region is start to rousing with many various night clubs and bar. If you prefer to enjoy the quiet night, please go to Jimbaran, a place that is known with barbeque and seafood at the night while you look from the far distance a plane, which is landed and take off from Ngurah Rai Airport. Jimbaran is the place for the best hotels in Bali like Four Season and Bali Intercontinental Hotel. Jimbaran is also known with its barong dance. In the western of Kuta, there are Legian and Seminyak. In the other side, Sanur beach is also surrounded by Hotels and restaurants. There's also Nusa Dua if you prefer in quiet beach. The start point for the surfers usually in Kuta beach. But the best wave in Bali is located in Uluwatu, in the most southern of Bali island, a place that often held International surfing competition. The best time for surfing is on April until September when the wind blows to southeast. Many surfers also love the wave in Nusa Lembongan near Nusa Penida, a place that is located in the southeast of Bali and overlooks to Indian Ocean. The islands is have a distance of 45 minutes by using boat from Nusa Dua or Sanur. In this place, the wave is known with Playground Surf Break, Shipwreck Surf Break, Ceningan Reef Surf Break until Lacerating Surf Break. In Nusa Penida, the wave stream is strong because of there are a strait that separate between Bali island and Lombok island. In the southwest of Nusa Penida, there are Manta Point and Malibu Point, a place for the divers to swim together with Travally, big rays, even sharks. In Blue Corner, you can find Moia fish. At the end of most eastern of Bali island there are Padang Bay and Cemeluk, which is known with Amed beach that is suitable for diving where in this place you will be greeted by cardinal fish, black snappers, and damsel fish. While in the west-north coast of Bali island there are National Park of Western Bali also the best spot diving in Menjangan with the flat corals, ruins of anchor, eel park, and many caves to be explored. 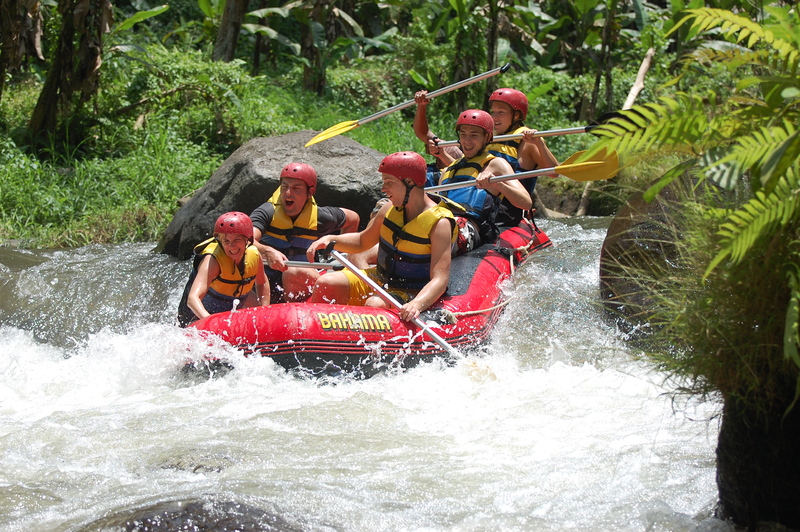 Bali will invite you to challenge your adrenaline in rafting at Ayung river that is spectacular in Ubud. In this place you can play bungee jumping from the top of the cliff. If you like to biking, Ubud is the beautiful city for biking like at the film "Eat, Pray, Love". There are also footpath for biking in the southern of Uluwatu. The mountain climbers will love to climb Mount Agung. Start your climbing from the backwards of temple or through Sebudi village. However, make sure to ask permission from the temple officials, because of the religion in Bali prohibits someone standing higher than the temple especially when the ceremony is in progress. The skilled climbers need 6 until 8 hours and you are suggested to start the climbing at the morning and escorted by skilled guide. For all of you who like to trekking, please visit to West Bali National Park. In the national park by an area of 76.312 hectare, located in Jembrana regency and Buleleng regency. Entering the side of Jembrana in Melaya where close with toll road of Denpasar-Gilimanuk. The national park offers you a tropical nature, which still natural and it is the house for the rare parrot by the number of a hundred birds. The colour of this bird is white, by the wingtip is black-colored and blue line around its eyes. In this place there is rare Javan Buffalo too by the number of 30 until 40 buffalo in the forest hinterland. Other animals in West Bali National Park are deer, mouse deer, leopard, a kind of weasel, and some kinds of monkey. The visitors who want to go to West Bali National Park have to get permission where you can get it free in Cekik, Labuhan Lalang or in the ministry office of forestry at Renon, Denpasar. Although there are many shelters in this place, the trekkers must bring some sleeping pads, anti-mosquito lotion, foods, water, and other equipments. There are some simple hotels available in Labuhan Lalang or in Gilamanuk and Negara. Another interesting ecotourism is in Mangrove forest through uphill footpath made from wood. The forest is located near Benoa harbour in Suwung kau, about 21 km to the southern of Denpasar. 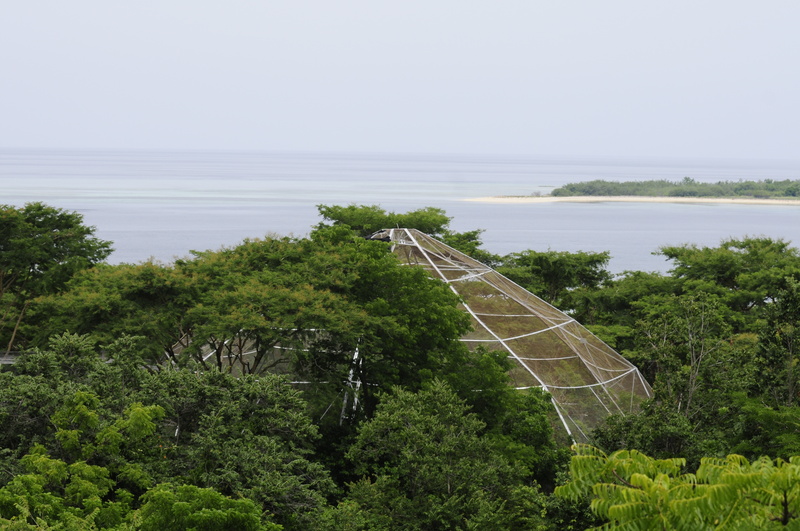 The information center of Mangrove has been opened in 2003, intended for the study and preservation of mangrove areas. By an area of 200 hectare, in this area there are an area of seedbed by an area of 7.700 square kilometre, footpath made from wood for the observation and exploration, cottage for take a rest and meditation also floating dock. Mangrove trees have important role in the marine life cycle and food chain because of mangroves provide key area of the organism breeding that is very important for food chain in the sea. And if one day later tsunami comes, mangrove have a role as barrier and defense zone for the sea life. The best time to visit mangrove forest is in the morning or daylight, where that times is the best moment to witness various species of bird that make mangrove as its habitat. In Bali, dance and drama is a part that can't be separated from the traditional ceremony, which is considered as sacred ceremony. Every village has different date in traditional ceremony, and tourists can see the balinese dance everywhere. The village in Bali offer cultural show, which is intended for the tourists. Barong dance is held in the morning at Batubulan village. This is the eternal story about the fight between goodness and evilness. Kecak dance is performed more dramatic in the open field at Tanah Lot temple by the background of the sun sets. Kecak dance tell us about Ramayana story where in the Ramayana history, her wife Sinta was kidnapped by Rahwana. In the forest, Rama seen the gold deer and he tried to catch it, but before he have made a circle around Sinta to protect her and warned her to didn't go outside of the circle because of Rama was worry with her safety. Then Rahwana persuaded Sinta to out of the circle and then he is succeed to kidnap her. To save her, Prince Rama helped by Gods White Monkey, Hanoman. Rhythm and music of Kecak dance is based on concurrent voice of human, which represent the Hanoman army that sit make the circle form. At the sun sets and start going to dark, this area is illuminated directly by the light of torch and it looks so dramatic. Peliatan village is famous with the beautiful dance of Legong Keraton and fantastic music instrument of gamelan. Another interesting dance are Baris dance and Mask dance where it is the solo show that express the character and human emotion. Bali is an island,which produce the best artist and craftsman, where the creativity flow from village to village. Painter, wood carver, dancer and many more you can find here and they are the best, with artistical tradition that is lowered from generation to generation. Many souvenirs you can buy here is painting. If you want to buy the best painting, please visit some galleries in Ubud and you are ready to admire the artwork from the artist, before you decide to buy the painting over there. Balinese painting is suitable to be framed by carved wood. For the best carved wood, please go to Mas village, a place for many skilled wood carvers. If you search gold and silver jewelerry, please go to Celuk village. However, if you think to bring home the souvenir for your friends, the best place is Sukawati market where you will find various souvenirs over there. The balinese wood carving is very popular and you can find it in Tegallalang, Pujung and Sebatu. If you wanna buy elegant ceramics, Jenggala Ceramics in Jimbaran is the perfect place. Their vast galerry, only 10 minutes from Ngurah Rai Airpot will offer you various type of cutlery design and kitchen equipments made from local craftsman and of course its price is very affordable. If you want to buy casual or fashionable clothes at hot day, the best place is in Kuta where there are many shops and boutique sell various type of shirt, surfing clothes, sandals until unique souvenir. If you interested to buy durable food as your souvenir, Balinese coffe is a aromatic coffe that must be bought. You might also buy some aromatherapy essential oil to be mixed in your bathub. 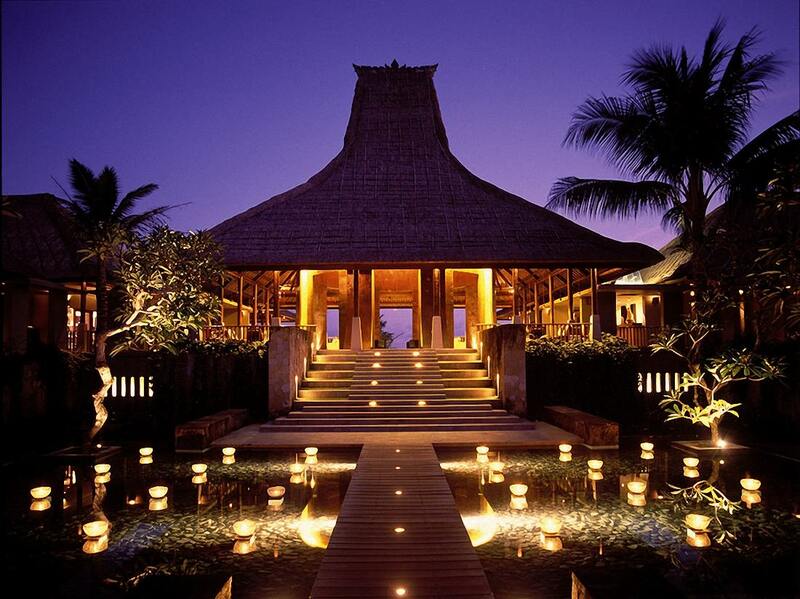 Bali nowadays has become a Spa trendsetter in Southeast Asia. Almost all luxurious hotels offer unique and qualified spa facility where the guests can enjoy the luxurious treatment and pamper yourself. In this place you will be pampered by the aromatheraphy massage by the ingredients of spices, and scrub with essential oil, which only can be enjoyed by royal princess modified by using modern technology. Two spa resort in Bali offer you "thalassotherapy" made from the sea richness, which contains mineral and oligo element that become concoction to massage and absorbed directly by your blood to give the balance in your body. A number of Spa is located in the middle of the scenery of green hills that is very beautiful incredible and river or the scenery that is overlooking to the sea will give you a peace and relaxation. Every spa have excellence and uniqueness itself. Weekend in Bagus Jati gives you to enjoy delicious and healthy food, many activities for you to pamper yourself in tropical forest. In this place, the herb concoction is made to recover your body, mind, and soul, clear up your body of all poisons. You can do Yoga routinely to complete this treatment. Bali is unique also its food from luxurious food until simple food, from balinese traditional food until international food. You can get everything during your holiday in Bali. Here the list of food place that is often visited by domestic tourist or foreign tourist based on the region. Food type : Asian & Internasional Food. Open : Lunch and Dinner. Food type : French food. Food type : Asian and International food. Food type : International food. Open : Breakfast, lunch, and dinner. Food type : Indonesian food. Food type : Japanese food. Food type : Indian food. Food type : Australian food. Food type : Spanish food. Food type : Asian and French food. Food type : Belgian food. Food type : Greek food. Food type : Fusion food. Food type : Thailand food. Food type : Brazillian food. Food type : Italian food. All of your needs surrounded by friendly environment can be gotten in Bali Buddha. We provide natural import medicine, organic vegetables, healthy breakfast, Lunch, Dinner. Open start from 7.00 AM until 10.00 PM everyday. We provide every kind of bread and pastries where nowadays is developed become large restaurant with many various type of foods. Please visit and enjoy Italian cofee here. Location : Jl. Iman Bonjol, Kuta. Location : Jl. Kuti, Seminyak. An excellent deliciousness, providing type of import foods, pickle, cheese, and etc. Receiving delivery orders to a house or villa. Offer reasonable prices for many connoisseurs, a special place to buy shusi and maki rolls made fresh daily as the reason.Location : Jl. Mertanadi. With the addition of direct flights from different parts of the world, come to Bali is very easy. The flight from jakarta to Bali needs 1,5 hours. While other routes to Bali is through Banyuwangi by using ferry, located in the eastern of east java and it needs 30 minutes until 45 minutes from Banyuwangi (Ketapang harbour) to Bali (Gilimanuk harbour). From Bali, you can continue your travel to Lombok, in West Nusa Tenggara. By using ferri from Padang Bai harbour, it takes 4 hours to reach Lombok. Bali has many travel agents to help your trip during your holiday in Bali. There are many good resorts that will offer its luxurious inns. Mostly are starred hotels where it is located in Kuta. Beside of that, those hotels have private spots in certain beaches. You can find it easily the popular spots in Kuta and Sanur. If you are in the quiet highland like Ubud, forget all of starred hotels because of you are in Ubud to enjoy its atmosphere. Please choose small inns, which is located along the road in Ubud. At the Ubud Writers and Readers Festival in 2007, a man use wheelchair stayed at a small Inn in the Monkey Forest. He got a trouble to descend the stairs in his bungalows. Then he skipped his festival. When he back at the night, the inn owner has made special road to go to his bungalow. That's the typical of balinese friendliness. Quest Hotel Tuban is inaugurated at 16 March 2012. Located in Jalan Kediri, only 5 minutes from Ngurah Rai International Airport. The three-starred hotel has 95 rooms by the size of 39 until 42 square metre. The size is larger than rooms hotel in Bali generally. The completeness seems like another renowned restaurant where it has eclectic restaurant, swimming pool, and full service spa.Quest Hotel Tuban can be said quite affordable for all of you who want to combine hotel budget with the best service standard plus environmentally friendly. Quest Hotel Tuban is targeted for you who has high standard, appreciate the alluring design.